Obviously, trash pickup is standard, but what additional services do they offer? 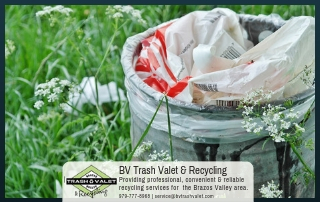 BV Trash Valet, for instance, offers complimentary recycling services with every trash pickup subscription. If the service offers recycling, take a look at their list of acceptable materials. Most recycling services will only accept plastics #1-2 in addition to other materials like paper, cardboard, and aluminium. That’s fine for a start, but if you’re really interested in reducing your carbon footprint, you may want a waste management company that accepts recyclable plastics #1-7. Services that employ single stream recycling are a good way to go if that’s the case. Where Do They Offer It? Second, you need to be sure that the waste management company in mind offers trash and recycling pick-up to you. If you’re a business, make sure they do commercial trash and recycling. If you’re residential, check for companies that handle residential waste management. 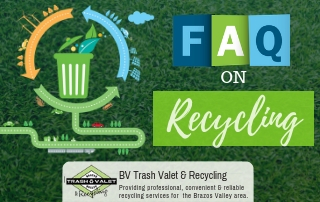 Many waste management companies operate just within Bryan-College Station, so if you’re outside city limits, you should look for companies that serve outer Brazos Valley. What Do They Do With Your Trash and Recycling? 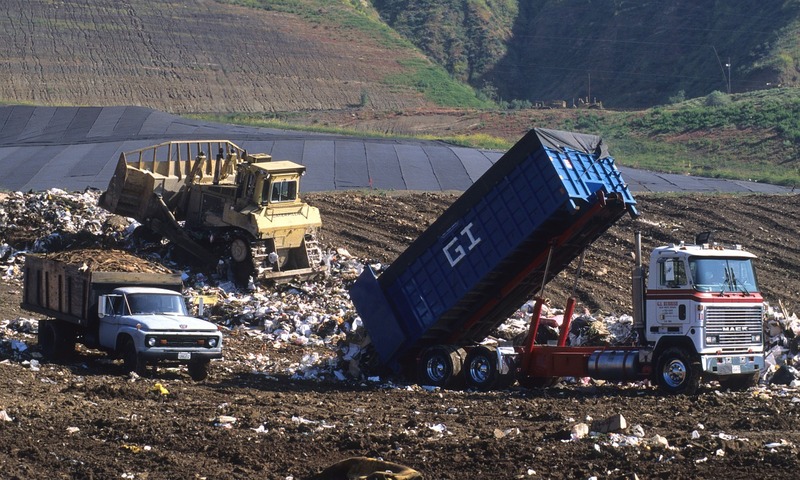 You may have to call the waste management company and interview them to find out certain answers, like: where does your trash and recycling go when it’s picked up? This is especially important when it comes to recycling. 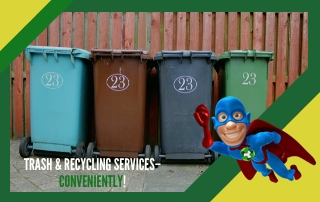 You like to think you’re reducing waste by recycling, so make sure that’s being done effectively. You may even want to ask how their recycling sorting process works. Do they use single stream sorting? Are They Engaged In Your Community? One of the best ways to ensure that a waste management company is responsible and reliable is to check if they’re invested in your community. 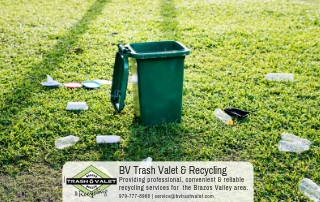 A family owned company that lives in the community is much more likely to care about keeping it clean than some corporation that offers waste management services to several different organizations. You can also see what programs your waste management company has taken part in, whether for community engagement or a cleaner environment. It’s especially impressive if they’ve won any awards for their care of the community. As always, it’s important to look at their reputation. Check Google for reviews or see if they have any reviews posted to their social media. If the company is reliable and provides good service, often they don’t even have to say it. Their customers will want to spread the word. 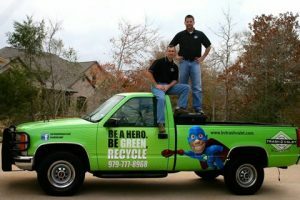 Brazos Valley Trash Valet & Recycling has been in the waste management business for almost ten years, started by locals Ricky and Jessica Hux, who wanted their customers to be able to recycle more conveniently. We’ve won awards for community stewardship and “Growing Green Communities” and in the past few years have offered tuition scholarships to graduating high school students in the area. When it comes to a trustworthy waste management company that cares about Brazos Valley, it’s hard to find a better company. Contact us today to start your own subscription.